Lisa Kan's book Bead Romantique is another gorgeous book from Interweave Publishing. The theme of the book is romantic, almost Victorian looking pieces. 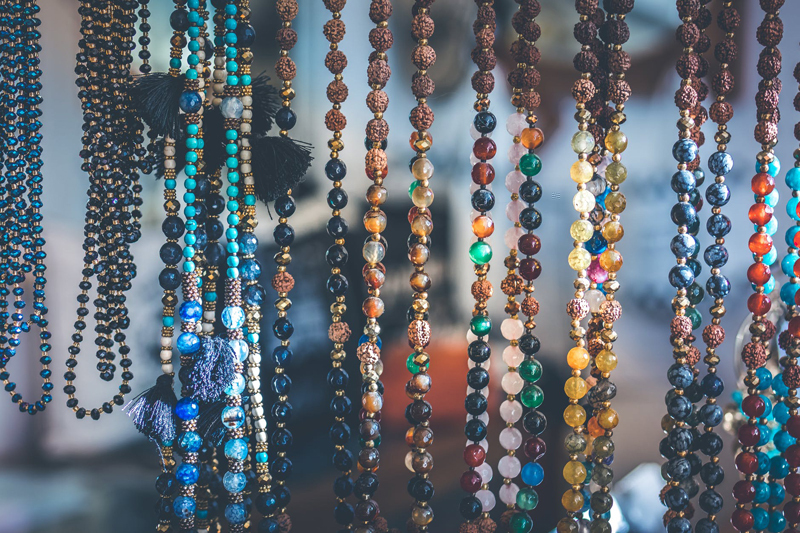 Most of the supplies called for are really easy to find in local bead stores, and the rest can be found searching online. The beginning of the book has some basic information about the supplies used, including what the author likes and dislikes about some threads and needles, and what the best application is for them. Then you get into the rest of the book, the projects. They are stunning. They range from very easy and elegant chain and wirework projects, simple beadwoven projects with some lovely surface embellishment, and then some incredibly dramatic looking bead woven pieces. The color photographs are inspiring and the instructions and diagrams are very well written. Many of the projects are meant for the intermediate beader. Don't be daunted though, the back of the book has stitch diagrams, and the text of each project is well written step by step. My favorite thing about the projects is that a few of them combine techniques. Chain as an accent on a beadwoven necklace for example. Some of her designs are completely unexpected pairings of techniques and beads that turn out looking amazing. Like I said, most supplies can be found easily at a good local bead store, and some projects are entirely made of easily found supplies, which is always nice in a book like this. The V Scallop necklace for example, you may have all the supplies you need on hand, or be inspired by it to make something similar with the supplies you do have on hand. My personal favorite project in the whole book is the intricate motif constructed Victorian Diamond Cuff. It looks difficult, but it's actually made of diamond shaped motifs that look easy enough one at a time. If you're an intermediate beader looking for inspiration and ideas, or a beginning beader looking for a challenge, I recommend this book.